1. 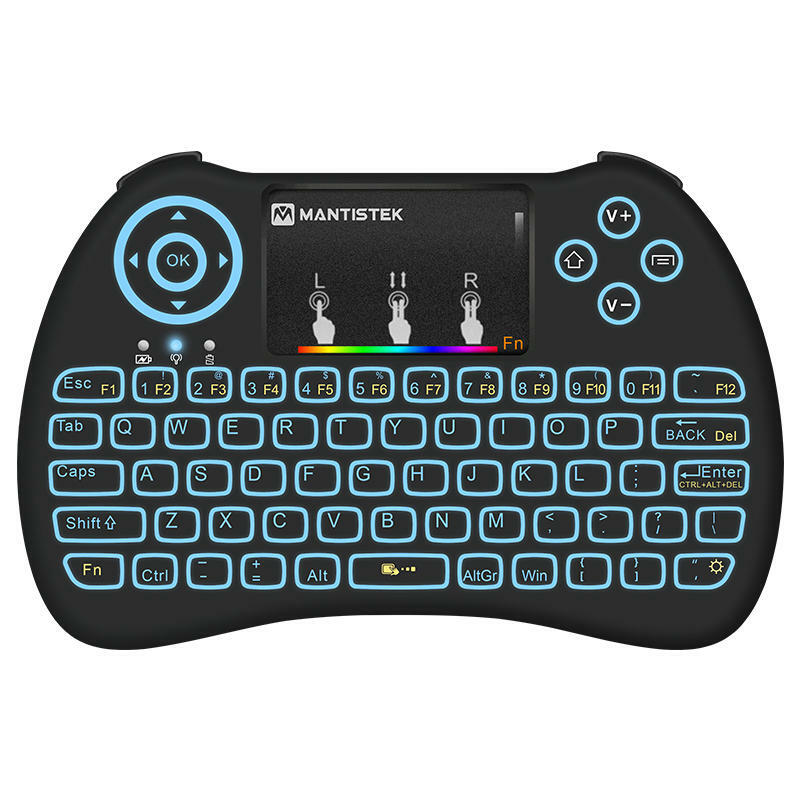 MK2 is a mini QWERTY keyboard and touchpad combo, features colorful backlit, a solution fits for low light condition. 2. Adjustable backlit colors and brightness. Press "Fn" and one finger slides up and down can change the brightness. 3. MK2 has four backlit modes as well. Compatible with multiple operaring systems, for Android, Windows, Linux, for Mac OS. Compatible with multiple smart devices, such as HTPC/IPTV, smart TV, Android TV Box, PC computers, laptops, tablets and phones(with OTG function)..etc. 5. RF 2.4GHz wireless connection, operational range can be up to 15m. 6. Touchpad supports multi-finger control, one finger click as left click, two-finger click as right mouse function, and double finger drag as the rolling screen. 7. Backlit memory function, no need to reset the backlit next time.